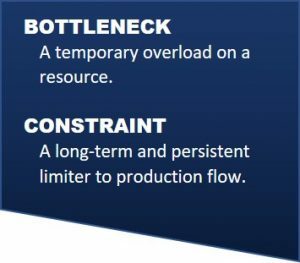 Bottlenecks and constraints are two terms that are often used interchangeably in Demand-Driven Manufacturing as well as in discussions on Lean Manufacturing and flow. It’s easy to use one term when you actually mean the other. However, since these two limiters on throughput need to be addressed differently, it’s important to understand the distinction. 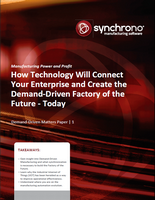 What is a Manufacturing Bottleneck? 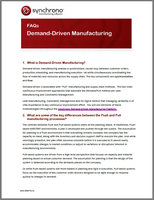 What is a Manufacturing Constraint? A constraint is a long-term and persistent limiter to flow. For example, the constraint might be a work center that cannot go any faster because the equipment is already operating at maximum speed or a process, such as a chemical reaction, that takes a set amount of time. 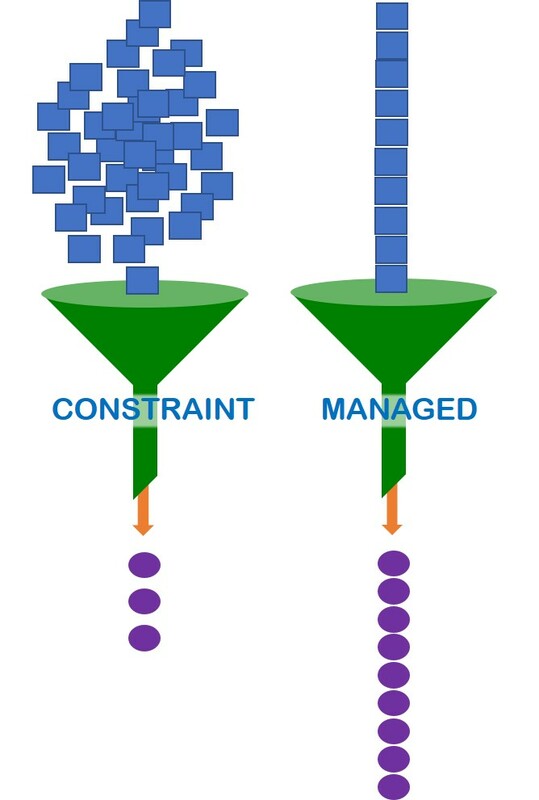 Constraints can be found outside the organization as well. For example, a persistent shortage of skilled workers in their industry is a constraint that many manufacturers face. 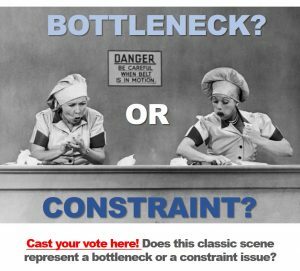 Based on these explanations, cast your vote on whether Lucy and Ethel’s situation in the chocolate factory represents a bottleneck or constraint. (This is completely anonymous and just for fun. Once you vote, you can see how others voted.) Vote here. As I mentioned earlier, bottlenecks are temporary – or at least they should be. In fact, they are often a prime opportunity for continuous improvement. 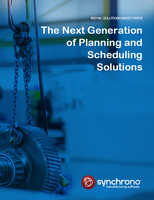 If WIP regularly backs up in front of a work center because a machine is down, the operator is late getting back from lunch, or the necessary tools have gone missing again, it may not be an easy problem to fix, but the power is in your hands. As part of your continuous improvement efforts, you should be trying resolve recurring bottlenecks. One thing I’ve l earned over the years, is that you can’t resolve these types of problems sitting behind a desk. If you’re pouring over reports in your office, all you’ll see is the variability. No amount of data can tell you what caused it. You can ask your shop floor supervisors, and they’ll give you their perspectives, but nothing beats getting down on the shop floor on a regular basis and seeing the reality behind the data. Turn Your Gemba Walk Into a Power Walk. 1/ Identify – You can’t address a problem if you don’t know it’s a problem. That applies to constraints as well. You probably have a pretty good idea of where your constraints are, but value-stream mapping has shown more than one manufacturer that things aren’t always as they seem. 2/ Exploit – Get as much as you can out of the constraint “as is.” For example, you might reorganize the work center in small ways to smooth the flow of work and increase productivity. 3/ Subordinate – Here, everything else is synchronized to the rate of the constraint. Experts also suggest re-evaluating your constraints at this stage because the process of subordination can cause the constraint to shift to another work center. 4/ Elevate – Take whatever action is necessary to eliminate the constraint, e.g., replacing or refurbishing outdated equipment, adding manpower at the constraint, or reorganizing the factory to remove wasted motion. 5/ Return to Step One. You will never eliminate all constraints. (Nor would you necessarily want to, but that’s a subject for another day.) Elevating a constraint so that it is no longer a constraint just means that something else will become the limiting factor on flow. 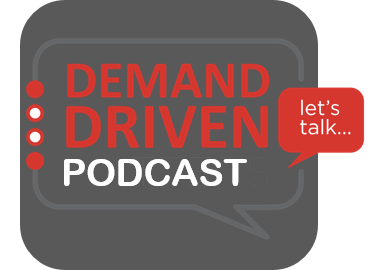 As part of your continuous improvement efforts, you need to return to step one, identify the constraint and assess whether its capacity is enough to meet demand. For many, step four seems the most challenging because it often involves a capital expense. Even if the business can afford the investment, a business case still needs to be made. However, step three is where real performance improvements take place, so be sure you don’t skip over it! 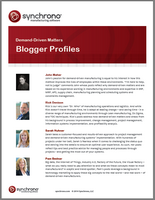 We call this step constraints management, and it is a larger part of a demand-driven (or pull-based) production system. 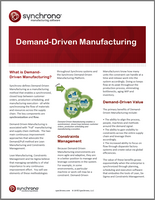 For a more detailed explanation of how constraints management works, please download our new white paper – Demand-Driven Manufacturing Principles: Eliminate Bottlenecks; Manage Constraints.